Sonoma County Libraries have been closed Mondays for more than four years, and there is no end in sight to the largest library funding crisis and hours cutback in history. 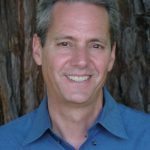 Last month, as described in this new report here, the Sonoma Independent delivered a petition with 1,271 names on it to the Board of Supervisors’ annual budget meeting. The Supervisors refused to allocate the $1.2 million in requested funding from the County’s surplus to reopen libraries on Mondays. But in an unusual public response, three of the County’s five Supervisors spoke of supporting a financing effort to restore Monday hours, provided that it came from the County’s Library Commission, and that local cities join with the County in co-funding the solution. Both the County and most local cities have sufficient contingency funds should they choose to do this, starting in the New Year. 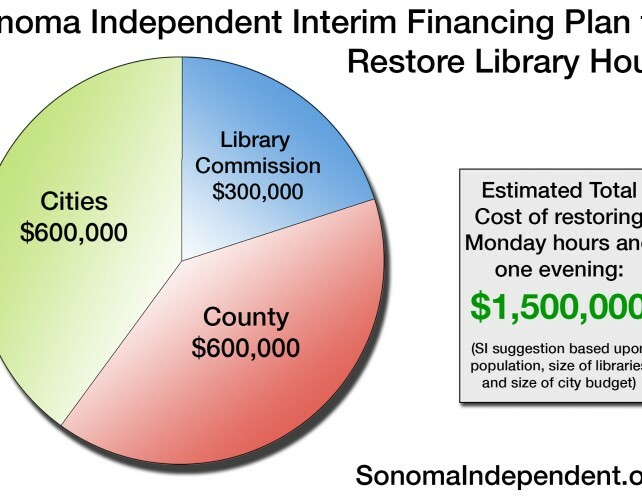 On July 6, the Sonoma Independent submitted to the Library Commission this $1.5 million interim funding proposal, that would last until a larger revenue measure can secure permanent funding at the ballot box. This Sonoma Independent proposal calls for the cost of restoring hours to be split between the County and seven cities, starting January 1, 2016. The County would contribute $600,000 annually, seven cities would share the other $600,000, and the Library budget would add $300,000 more. Because the funding would commence in the middle of the fiscal year (which ends June 30), the amounts to be paid for the first half a year of restored hours would be half the annual amounts described here. The Library Commission plans to explore the proposal in its Revenue Committee, and decide whether or not to move forward with a plan to restore hours in the next few months. The petition on the right side of this page, and here, urges the Library Commissioners, Supervisors, and City Councils, to commit to resolving this funding crisis this year. (Sonoma Independent’s proposed amounts are based upon population, size of city budget, number of libraries, and level of shared usage by neighboring County residents. We left out Cloverdale because it is a financially strapped area and because many of its users are County residents).